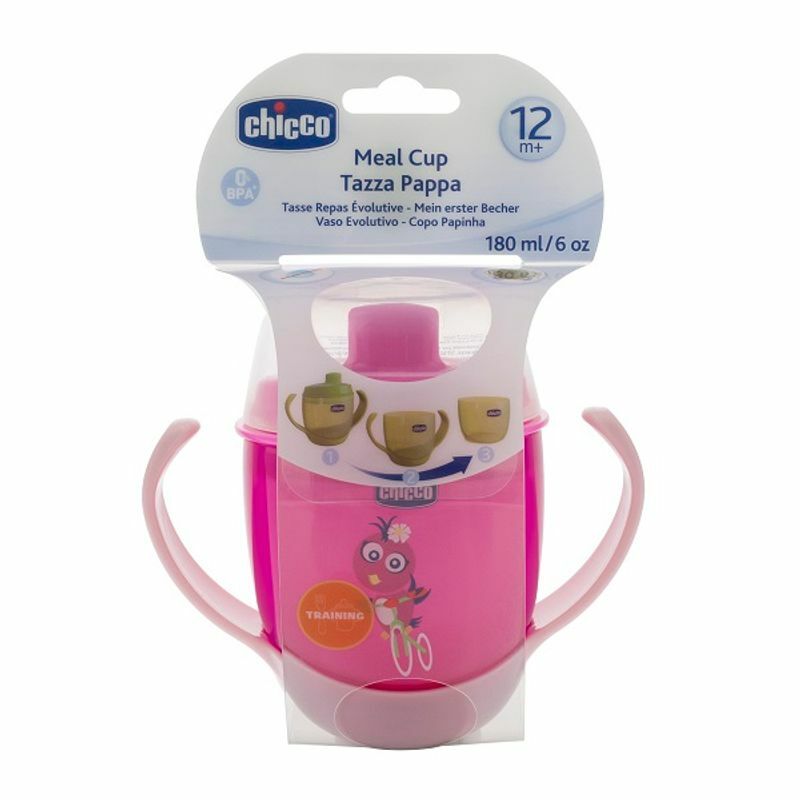 Chicco Meal Cup is perfect for gradually teaching the baby how to drink at the table and later from a glass like an adult, making him/her learn the right position of lips and control of liquid. It is ideal for a one-year-old and above. The cup has a detachable base to teach growing babies how to drink at the table. The Meal Cup helps the baby know where to place his lips. It regulates the flow of liquids, and it will gradually become the baby's first drinking glass.